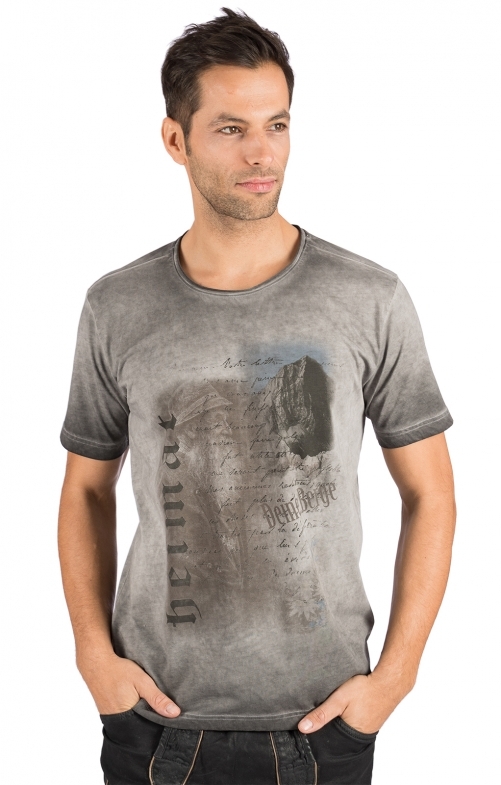 Traditional T-shirt in interesting burnout look. The unconventional traditional t-shirt FYNN from our online shop presents itself in a fashionable anthracite with a striking wash. The front area is decorated by a large motif, on the neck is the lettering summiteers. Short sleeves, a comfortable round neck and easy-care material made of pure cotton make the model a perfect summer companion.